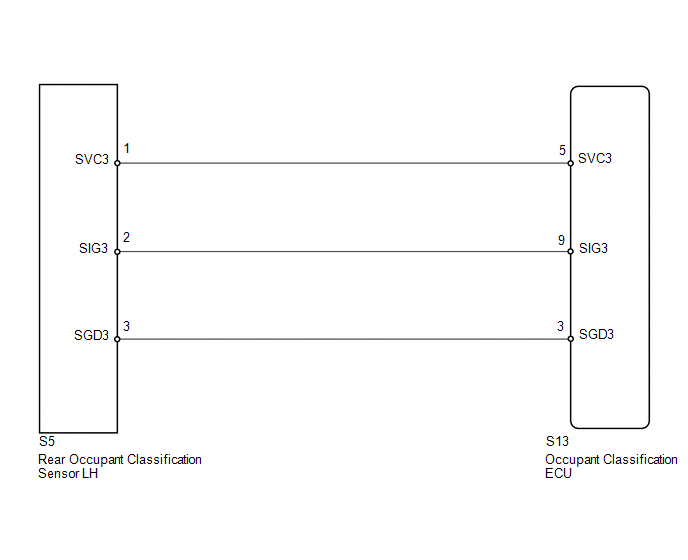 DTC B1787 is output when the occupant classification ECU receives a collision detection signal sent by the rear occupant classification sensor LH if an accident occurs. DTC B1787 is also output when the front seat assembly RH is subjected to a strong impact, even if an actual accident does not occur. However, when the occupant classification ECU outputs a collision detection signal, even if the vehicle is not in a collision, DTC B1787 can be cleared by Zero Point Calibration and Sensitivity Check. Therefore, if DTC B1787 is output, first perform Zero Point Calibration and Sensitivity Check. When DTC B1650/32 is detected as a result of troubleshooting for the airbag system, check the DTCs stored in the occupant classification ECU. When DTC B1787 is output, perform troubleshooting for the DTC. (c) Using the Techstream, perform Zero Point Calibration (See page ). DTC B1787 is not output. Codes other than DTC B1787 may be output at this time, but they are not related to this check.